Arunachalam, S, & de Wolf, R. M. (2017). 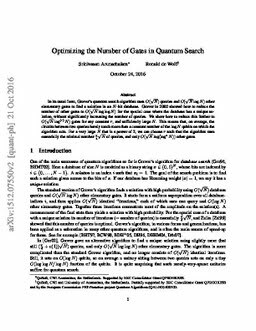 Optimizing the number of gates in quantum search. Quantum Information & Computation, 17(3&4), 251–261.